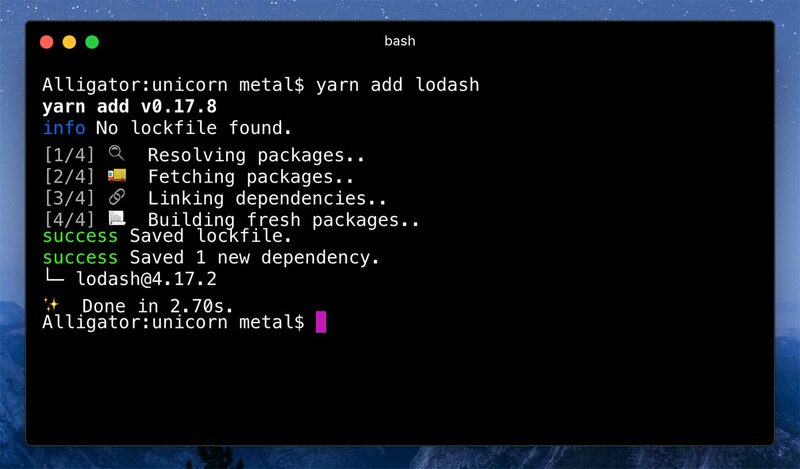 You can replace your whole npm workflow with Yarn for new or current projects with very minimal effort. Dependencies in Yarn are kept in a yarn.lock file that should be checked-in your source control, but the file itself is for Yarn only and shouldn’t be edited. Here just enough to get your started with Yarn. On Windows, you can get an installer file here.